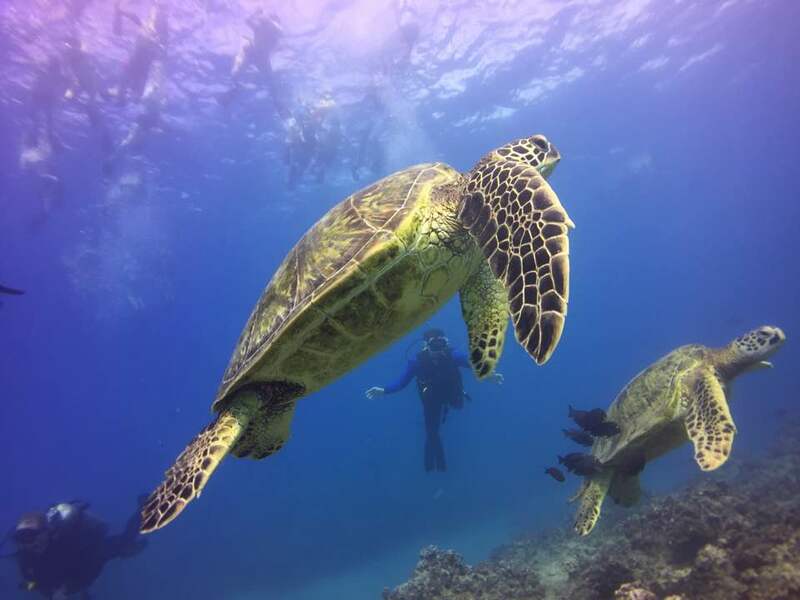 Some of Oahu's best dive sites! 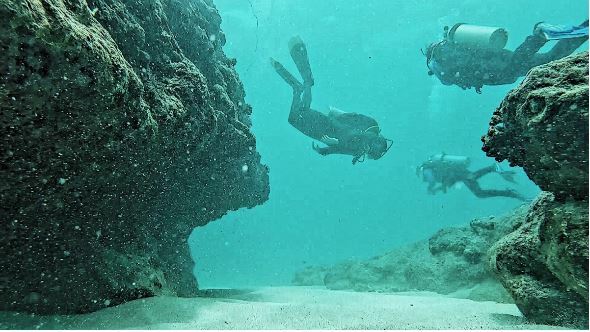 Oahu’s West Side is full of incredible dive sites. These sites offer a large variety of Hawaiian marine life, amazing rock formations, tropical blue water and white sand beaches. The sun always shines on the west side of Oahu, and Hawaii Eco Divers will always be willing to show you the best around that area. Depth: 20-100 ft./ 7-35 m.
Visibility: 60-120 ft. / 20-40 m.
Category: Shore & boat dive. 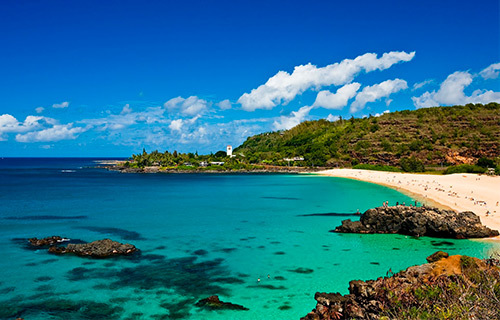 This dive site is located at the end of Farrington Highway before Kaena Point, the westernmost point of Oahu. It is full of amazing coral formation, lots of Hawaiian reef fish, lobsters, and sharks! The waves can get rough in this spot, so be careful! Shore diving may not recommended for children or those bad at swimming. Depth: 65 – 85 ft./ 21 – 28 m.
Black Rock dive site is an incredible rock ledge with a large overhang. Conditions are similar to a cave dive. This environment makes for a great hideout for reef sharks, eels, octopi, and sea turtles. Rays and other endemic species are present all around this beautiful rock feature. Depth: 85 ft./ 30 m.
29 Down dive site on the west side of Oahu is a unique experience for every diver! This site is a small airplane that was sunk for use in the TV series “Flight 29 Down.” A beautiful reef circles the plane, which fills the area with colorful and friendly marine life. Depth: 15 – 30 ft./ 5 – 10 m.
Visibility: 40 – 100 ft. / 13 – 33 m.
Kahe Point is nicknamed “Electric Beach” due to the power plant across the highway. Two large pipes come out from this facility, dumping a constant flow of warm water. These pipes have become flourishing artificial reefs, with massive concentrations of coral on and around it. The area is busy with marine life, including reef fish and many endemic species. Natural reefs run along either side of the pipe, embellishing the ecosystem with even more sea creatures. This dive site is fun for all levels of diver – you will see something new nearly every dive! 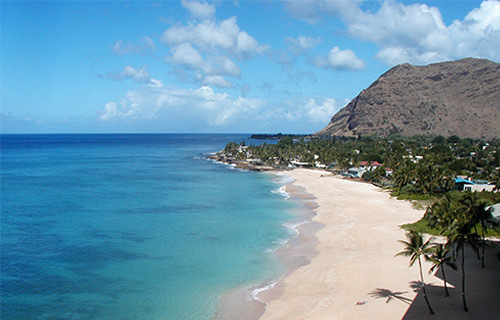 Electric Beach is known for being one of the only spots on Oahu that you can see and hear dolphins year-round. Depth: 25 – 45 ft./ 8 – 15 m.
Visibility: 30 – 100 ft. / 10 – 33 m.
Category: Shore and boat dive. Makaha Caverns is one of the most popular sites on Oahu, known for its amazing caves and caverns. This is the outside reef of the legendary and well-known surf break called Makaha. 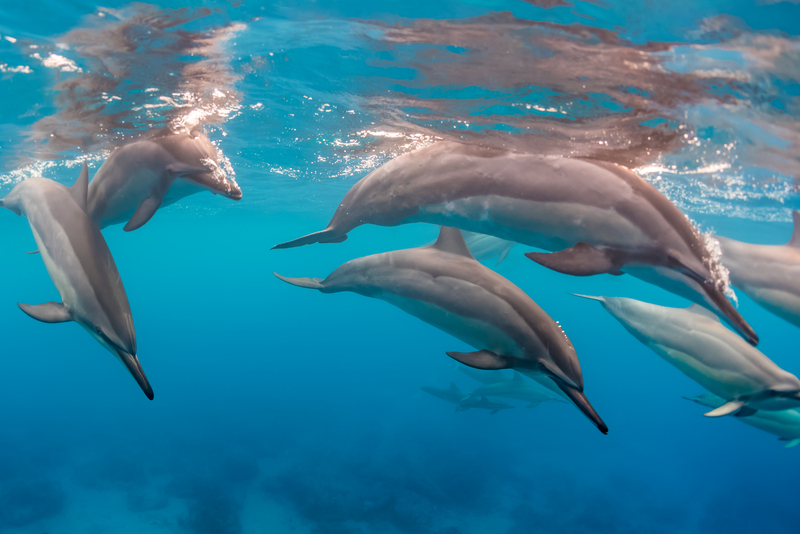 An exciting reef dive with plenty of marine life, including Hawaiian reef fish, lots of eels, white tip reef sharks, eagle rays, and the occasional Hawaiian monk seal can be spotted! All level divers. 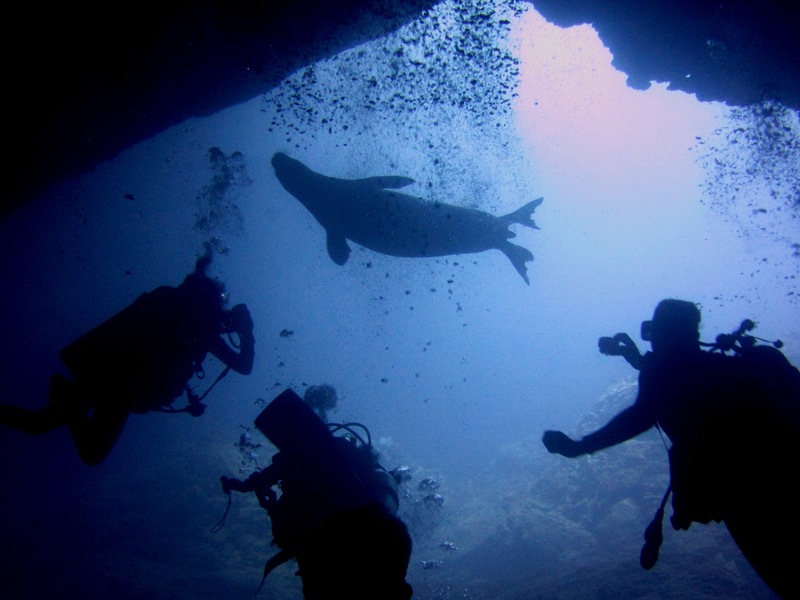 Watch the video of Hawaii Eco Divers at Makaha Caverns! 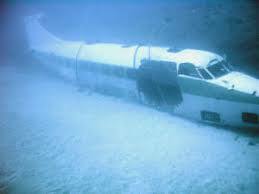 Depth: 60 – 80 ft./ 20 – 27 m.
Visibility: 60 – 120 ft. / 20 – 33 m.
Located very close to the 29 Down wreck, is Oahu’s famous L.C.U., or Landing Craft Unit. This shipwreck sank upside-down, creating a unique experience for any diver. Whitetip Reef Sharks live under the ship and can be found resting on the ocean floor during the day. Up towards the “bottom” of the boat, divers often see fish swimming upside-down! Around the ship are many Z-blocks, placed by the state to create artificial reefs in order to boost fish populations. Depth: 90 ft. / 30 m.
Visibility: 60-140 ft. / 20-45 m.
The Mahi is one of Oahu’s most popular wreck dives, and it never disappoints! This ship was a US Navy minesweeper that was sank in 1982 as an artificial reef project. The wreck is 190 ft./ 63 m. long. Because of its long bottom-time, a lot of marine life can be found around the Mahi Wreck. A squadron of eagle rays lives nearby and is often seen swimming along the side of the wreck, in groups up to as many as 20 at once. A great barracuda is often found circling the mast post, as it has claimed the Mahi as its home. These creatures are joined by large schools of reef fish, eels, and bigger sharks. Watch the video of Hawaii Eco Divers diving the Mahi Wreck!